Analysts are deeply sceptical about China’s decision to write off almost $78 million from Cameroon’s debt, an amount the latter failed to pay in 2018. China says it has written off the debt as part of measures to ease economic hardship in the central African nation, but experts fear that the move will benefit China in the long term than the central African country. The debt relief announcement was made after a meeting between President Paul Biya and Yang Jiechi, a special representative of China’s President Xi Jinping, according to Chinese media CGTN. Cameroon’s total debt burden to China stands at almost $5.7 billion, according to the public entity that manages Cameroon’s external debt. Biya, in his recent new year wishes, said Cameroon will go ahead with its active cooperation with China aimed at mutual development. 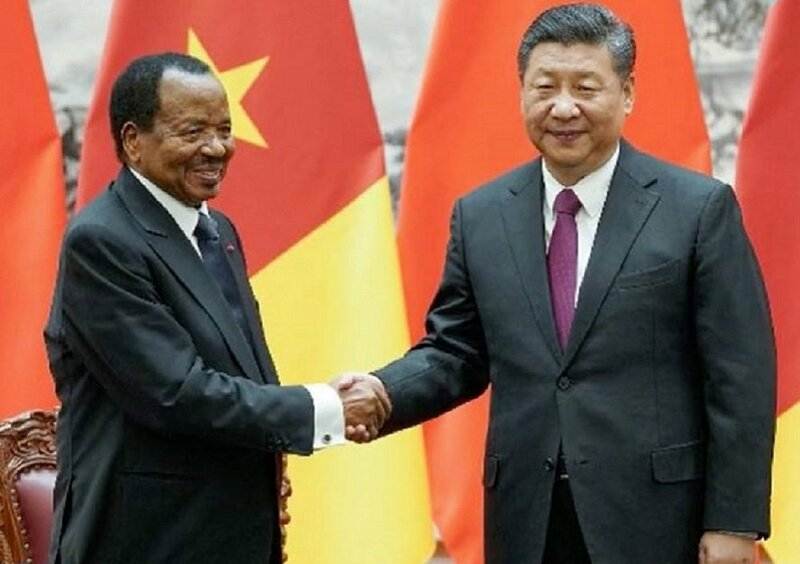 China is Cameroon’s first commercial partner and primary investor in the country when it comes to development-oriented projects, reports Journal du Cameroun. China has been putting more than $400 million per year into the country’s roads, dams, housing projects, telecommunications, among others. But critics say that most of these investments go towards accessing Cameroon’s natural resources, while the country’s debt burden rises, VOA reports. But the spokesperson for Cameroon’s Ministry of Economy, Planning, and Regional Development, Alamine Ousman Mey disagrees and welcomes China’s increased assistance. Cameroon has faced economic hardship following the conflict between the minority English-speaking regions of the country and the government. Mey said China gave Yaounde, the nation’s capital, a $3 million aid to help people displaced due to the crisis in the region. “We are very pleased that our partners like China are offering humanitarian support up to 1.8 billion CFA and material. We have signed a letter of exchange to supply to these two [Anglophone] regions,” he was quoted by the VOA. On his part, the Chinese envoy, Yang, debunked claims that his country was exploiting the people of Cameroon, emphasizing the need for both countries to work closely together for mutual benefits. Last September, it was disclosed that some African countries are seeking to write off their loans from China while others are giving out their natural resources and other concessions to pay for those debts. This was contained in a report by the US-based Centre for Global Development which indicated that China total loan figure to Africa is more than $14 billion, and this continues to rise, as properties of defaulters get targeted. South Sudan then said that it will use its crude oil as payment to China for its roads projects. Zambia’s power company’s ZESCO was also reported last September to be among the first casualties of China’s takeover after default on loan repayment. Zambian authorities denied such claims. That same period, Botswana announced that Beijing had agreed to extend its loan repayment period for rail and road infrastructure and write off some of it. Ethiopia had before this announced that China had agreed to restructure a $4 billion loan for the railway that links the capital, Addis with neighbouring Djibouti. Kenyan government also recently asked Beijing to consider providing half of the $3.8 billion for the second phase of the Naivasha-Kisumu standard gauge railway as a grant and the other half as a loan, reports local media Daily Nation. China has been considered a good partner by many African governments, however, concerns have been on the rise in regards to increasing debt and treatment of Africans by the Chinese. In Kenya, revelations of racism at the China-funded standard gauge railway not only shocked many but also uncovered a series issues that African governments need to address. Western countries have also raised concerns over Africa’s debt to China, but it has not stopped them from presenting their own loans and projects to the countries if recent visits by western leaders are anything to go by.